Want to Teach at our 2019 event? 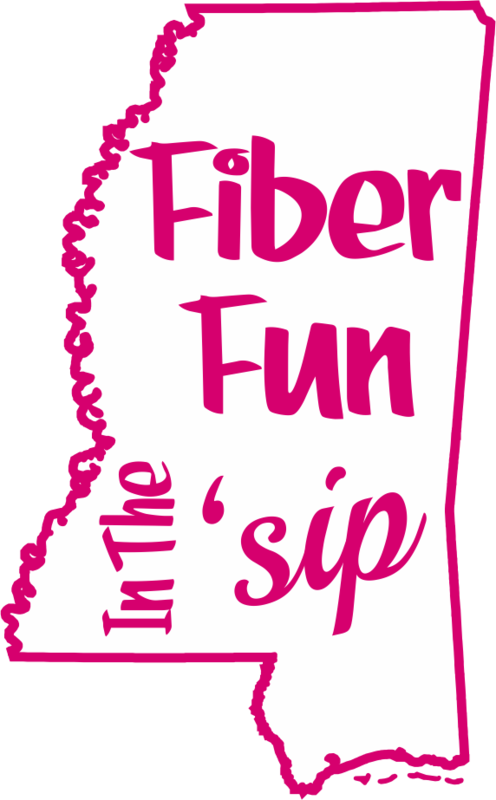 To apply email us fiberfuninthesip@outlook.com. Beverly has been knitting since she was a small child. Her Norwegian Grandmother taught her many invaluable lessons and Beverly hopes to pass on some of that wisdom as she works, teaches and plays at her yarn shop. Her skills include knitting,crochet, needlepoint, embroidery, smocking, weaving and teaching. A Canadian by birth and upbringing, she spent many years working as a Registered nurse. Retiring in 2016, Beverly is able to spend more time at her shop and brings a wealth of knowledge and experience to the art of stitching. Kathy has been knitting since junior high school. She has extensive experience in many facets of the knitting industry. She teaches knitting in various venues such as local yarn shops and fiber festivals. She has a comprehensive repertoire of class topics. Kathy has also been a manufacturer’s representative and has test knit for Shibui Knits. She is a graduate of Level 1 of TKGA’s Master Knitting Program. Kathy spent the last 8 years with Knit1 Oxford, Mississippi’s outstanding yarn shop which offered a superior, highly curated experience for their customers. She is passionate about knitting, recognizes the importance of continuing to learn, and loves to share her knowledge with others. Mary owns the Fancy Fibers Store in north Texas where she teaches spinning, weaving, felting, dyeing, and rug hooking and sells all the tools, supplies, and equipment that one might want for those arts. She also co-owns the Fancy Fibers Farm where she keeps Shetland sheep, Angora goats, and Suri alpacas. In her spare time, she writes articles for Ply magazine about spinning and weaving, and travels the countryside to share what she’s learned from her 20+ years of hands on experience, successes, and failures! Her goal in life is to entangle everyone she meets in the web of fiber arts. Roiana currently lives in Mount Pleasant, Tennessee, where she is working with her husband Mike and youngest son Nick to build a flock of Icelandic sheep (along with chickens, guinea fowl, ponies, puppies and whatever else she can smuggle into the barn when Mike isn’t looking). Roiana was given knitting needles at the age of 6 (to keep her out from underfoot), embroidery at the age of 10 (to encourage sitting still) and plunged headlong into the shadowy worlds of spinning, weaving, tatting and various other fiber arts from there. It’s a slippery slope, but what a ride! This is not the life I planned. My mother taught me to sew, crochet and knit when I was young. And it was fun. But I didn’t want to be like my mother. So what happened? We bought a farm for the kid’s horses. The barn yard was full of weeds, so we got some goats. And then it happened. I inherited a neighbor’s few sheep. And another neighbor taught me to spin. And I was hooked. There aren’t a lot of fibery things I haven’t done. Am I like my mother? No. She went to the store and bought yarn. Me? I raise it, shear it, process it, dye it, spin it……well you get the idea. And I love almost every minute of this crazy life. Katie has been crocheting and knitting for over 25 years. She is a member of the Craftsman Guild of Mississippi and has been teaching crochet and knitting since 2009. Maddi and Lily, Katie’s daughters, inspire her to create patterns which are available on Ravelry.com. Her home is in Madison, MS, but her home away from home is her LYS, the Knit Studio in Jackson. Jonee has been active in the fiber arts since 1991. She first learned to weave then took up spinning. She is also an avid crocheter while dabbling in all the other aspects relating to fibers. She feels that we are never too young or too old to learn new things about the world of fiber arts and loves to share whatever knowledge she has with others. Jonee has a small hobby farm where she and her husband are the caretakers of dairy and boer goats, horses, alpacas, sheep, LGD’s, and all the other livestock that come with a farm. Brenda Harrower began spinning as the fulfillment of a dream she had since childhood. She is an avid knitter, so it just seems a perfect step forward. She got her first wheel about 30 years ago and began spinning. Raising kids and showing dogs, pugs, took her away from it for awhile. Once life settled down she decided to take the six year study of spinning offered by the Olds College out of Canada, earning her Master Spinner degree with honors. Brenda loves to teach and will offer a good base for your new adventure into the world of fibers! Jennifer is a yarn/color designer, creator of Theodora’s Pearls, nationally-known handpainted and handdyed fine fibers, featuring unusual and luxury fibers. She’s a popular knitting instructor, including basic and advanced technique, knitwear design, creativity, and color design. She teaches and lectures on creativity, working with colors, knitting design, lacework, and more. Theodora’s Pearls, Jennifer’s hand-dyed line of yarn, is popular in discerning yarn shops nationwide. The line features unique and luxury fibers, including exclusive custom-spun bamboo, wool and wool-cashmere blends, silk, and more. Theodora’s vibrant colors appear as tonals, handpaints, speckle-dye, solids, and other color-applications. Jennifer brings her background in marketing, psychology, counseling, art history, science, and metaphysics to the knitting classroom. Jennifer is dedicated to promoting creative confidence in every knitter, enhancing knitting skills, and encouraging new and innovative experimentation in yarn! Jennifer is dedicated to promoting creative confidence, enhancing knitting skills, and encouraging new and innovative experimentation in yarn. Her teaching is focused on accessing the creativity that we all hold. A self-taught artist, sourcing inspiration largely from the natural world, she shares her own creative journey as an example of how we all can express ourselves through beauty, harmony, and functionality. Jennifer ‘s awards include features in the AIA Austin Tour of Homes and the Central Texas Parade of Homes; LaPlata County Fair 2015 Blue Ribbon. Jennifer was born in Dallas, Texas, and made Austin her headquarters for over 30 years. She now resides in Longmont, Colorado. As an exhibiting member of the Craftsmen’s Guild of Mississippi, Kathy has been teaching weaving since 2013. Donna is originally from Charleston, South Carolina. After living on the Mississippi Gulf and in Auburn, Alabama, Donna moved to the metro Jackson area in 2001. She has been knitting since 1993 and spinning her own yarn since 2009. A member of the Chimneyville Weavers and Spinners Guild, she has taught knitting and spinning classes for several years. She is a tech editor and pattern designer for The Degarge series of books by Cooperative press.